We’re sure none of you want to be labelled as the “Smelly Cat” in the room. You may have the most charming personality ever and your outfit may make you look like the stunning diva you are but, as soon as the stink escapes, everything goes downhill from there. Smelling great instantly ups your allure and it will also make you feel great about yourself. Showers are the best way to feel fresh and new. A warm shower with your favourite scented shower gel will leave you lightly scented and it will also remove dirt and body odour. Make sure you bathe at least once a day and exfoliate your entire body once a week to maintain soft skin and get rid of dead cells. Wash your hair with a shampoo that cleanses off product build up and scalp sebum. Rinse with a conditioner that has a soft scent to make your hair smell amazing. Sweat only starts reeking when mixed with bacteria or dirt. Hair traps bacteria and contributes to developing body odour throughout the day. The best way to avoid this mishap is to routinely remove all body fuzz. You can choose whatever method is convenient to you like waxing, shaving, epilating, depilatory creams etc. It is advisable to moisturize immediately after taking a shower. Layer your fragrances, i.e. use a scented shower gel and a lotion or moisturizer in the same scent. During the summertime, you can choose a light gel/water based moisturizer to avoid excess greasiness. Switch to a heavier moisturizer like a body butter to suit winter month’s requirements. Focus on your pulse points like the back of your neck, back of your ears, inside your elbows, wrists, behind your knees and on your ankles to make the scent rise throughout the day. Applying your scent on a moisturized area will also increase the longevity of your perfume. Do not rub your wrists together as this forces the top notes to disappear faster. If you only want a light whiff of fragrance, spray a little perfume into the air and walk through it. This will distribute the scent evenly leaving you with a pleasant and light smell. 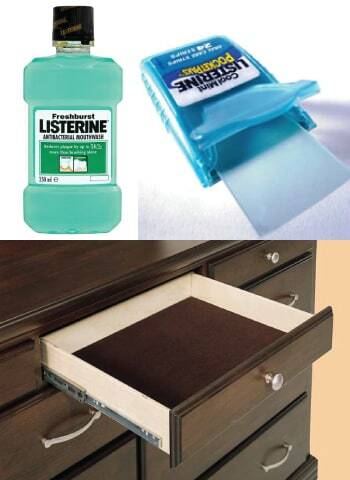 Cover your clothes drawers in tissue and spray it with your perfume. This is a great way to infuse subtle scent into your clothes. Apart from that, smelling great is a complete body habit. Make sure you keep your mouth clean and have fresh breath at all times. Carry mouthwash or gum to help fight the bad breath bacteria and brush your teeth twice a day.